When I'm in stress, I tend to lower my restrain to several things including my spending. Maybe that's why two weeks ago I went to watched Godzilla in cinema even though I previously declare that I won't watch it because I have to save my money. But since you could say that I'm a big fan of kaiju and monster movie, I'm not regret it. I have a mixed feeling about this movie. It's decent enough but the human elements feels lacking. Even though the drama portion is more than the action scenes! I don't know. Maybe because there is something really lacking in the fights of the humans, in the whole human attitude that was depicted in this movie towards these monsters. It's not like in Pacific Rim where you could be moved by the human struggle and fights for those monsters. But the big monsters fights deliver, for most part. It's a lot of fun to see big monsters fighting on your screen, so I was half wished there could be more monster actions. But maybe it's just me ^^. Overall, I think this movie just an ordinary monster movie. 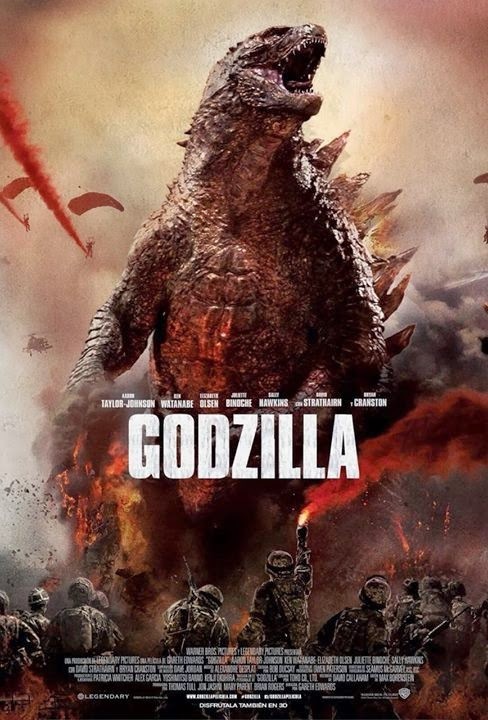 But because Godzilla is so badass (too bad it's only have little screen time), and the special effects is quite good, I don't think it's a waste of time and money.